Can a Cat With Diabetes Be Treated With Food and Diet? Are There Alternatives to Insulin for a Diabetic Cat? If your cat is diagnosed with diabetes mellitus, it means that his pancreas is not producing enough insulin to regulate the amount of sugar in his bloodstream. In most cases of feline diabetes, insulin is the treatment of choice. The thought of giving insulin injections daily is a scary prospect for many cat owners. As a result, if your cat is diagnosed with diabetes, you may be wondering if there is an alternative to treating your cat without having to give him insulin shots. 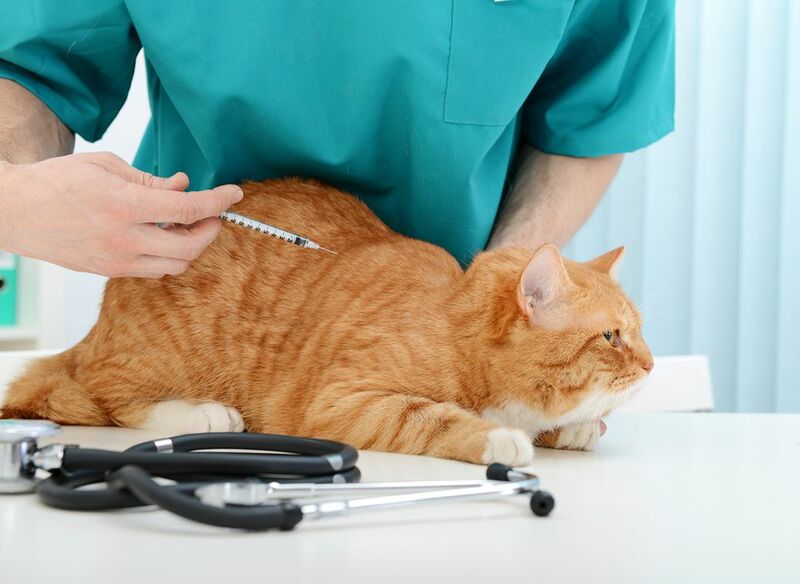 There may be other treatment options that are worth exploring in a situation where your cat's personality is not conducive to receiving daily or twice daily injections of insulin or where you are physically incapable of giving the insulin injections. Oral hypoglycemic medications such as Glipizide and Acarbose are one such option. These medications act to help lower blood glucose levels. They are given by mouth and are most effective for cats with mild diabetes. They are effective for some, but not all, diabetic cats. A strictly-controlled diet can be useful in controlling blood glucose levels in cats with diabetes. Feeding your cat special food by itself may or may not be completely effective, and it is most likely to work for cats who do not have severe diabetes. The most commonly recommended food for a cat with diabetes is a diet containing high levels of protein and low levels of carbohydrates. If you are feeding your cat commercial food, canned cat foods are preferred (as opposed to kibble or dry food). A high-protein, low-carbohydrate diet can be combined with one of the oral hypoglycemic medications to further help regulate your cat's blood glucose levels. It is possible that this may be more effective than using diet or medication alone. Another important consideration in treating a cat with diabetes, especially if the disease is caught early, is that remission is possible if the regulation of blood glucose levels can be controlled effectively. For that reason, aggressive treatment started early is considered to be the best course. In many cases, insulin injections provide better glycemic control (control of blood sugar levels) than other medications. Insulin injections, particularly combined with a proper diet of high-protein, low-carbohydrate foods, are effective in converting many cats to a state of remission. This means that insulin injections may be necessary only for a short period of time and then your cat may not need them anymore. Theoretically, any treatment that is capable of rapidly and effectively regulating the blood glucose levels can lead to remission. However, in practice, many cats respond better to insulin injections than they do to the oral hypoglycemic agents or feeding your cat a diet of special food. For this reason, even though alternative treatments may be available if the situation warrants them, insulin is likely to remain the treatment of choice.